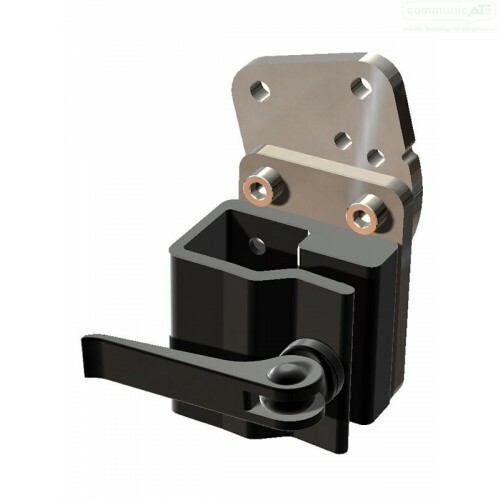 Rigid bracket for attaching Mount'n Mover Posts to Mount'n Mover wheelchair adapter components with the ability to adjust to any angled mounting - in 7.5° increments. Best of both worlds! Solid and secure mounting at fixed angles. No chance of slippage, set only once during setup. 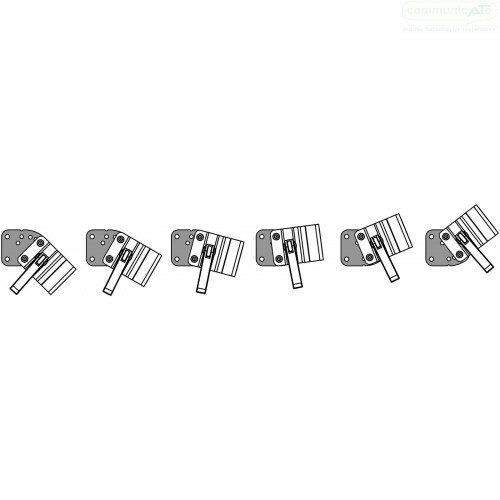 No moving parts, a maintainence free product. Compact! Only adds ¼" thickness to the Solid Wheelchair Bracket. 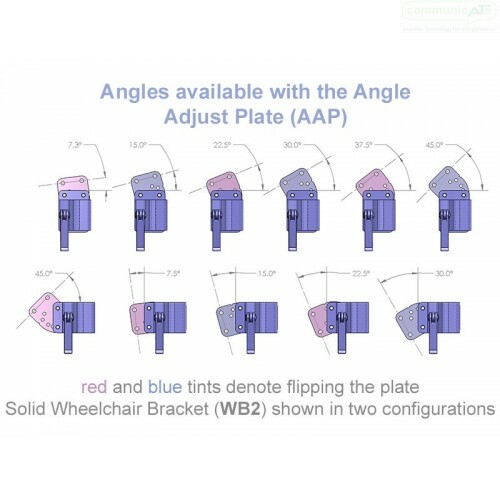 Optimal mounting may require an angled hardware attachment, compensate for that angle using the WC-AAP.